The Psychoanalyst and the Child explores the unique nature of psychoanalytic work with children. This book is based on more than 30 years of practice and reflection within the framework of the Alfred Binet Centre in Paris, France. The very great diversity of situations encountered at the Centre brings the issue of therapeutic indications to the forefront. 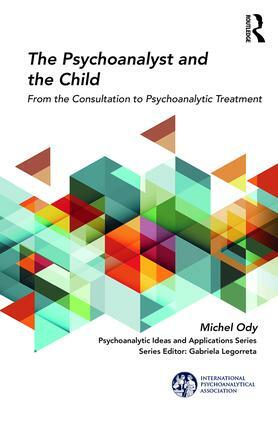 Michel Ody focuses on the diversification of fifteen clinical situations and their theorization, ranging from basic consultation to psychoanalytic treatment. With this framework as his starting-point, he looks at the common features between the therapeutic consultation – a consultation that becomes therapeutic – and the analytic treatment, as well as what differentiates them. This implies examining, at the technical level, the different forms of interventions and interpretations presented as well as their metapsychological articulation. Ody draws on decades of clinical expertise to set out not just the basic considerations and problems typically encountered in work with this patient group, but clear guidelines for methodology and technique. Psychoanalysis can be an intellectual process, dependent on the ability of the patient to express themselves verbally, which can make working clinically with children challenging. The Psychoanalyst and the Child seeks to help psychoanalysts through the most challenging of clinical treatments with this patient group. Michel Ody is a psychiatrist, psychoanalyst, and honorary training member of the Société Psychanalytique de Paris, France. He was a member of the Management Committee of the SPP Training Institute for twelve years and Chair of the SPP Scientific and Technical Committee for five years. Since 1975 he has gradually taken responsibility for a multidisciplinary team at the Alfred Binet Centre. He is the author of two books and more than 100 psychoanalytic articles in French and was awarded the Maurice Bouvet Prize in 1988.